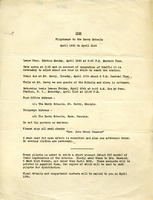 Provides a detailed description of activities including bringing a warm coat for open motors and a reminder they will be required to write a short account of their impression of the schools. 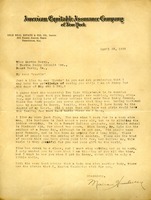 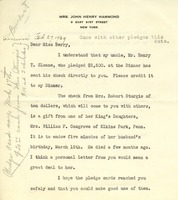 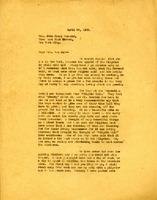 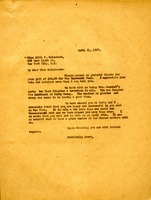 In this letter Martha Berry is thanking Miss Edith V. Holdstock for her donation of ten dollars. 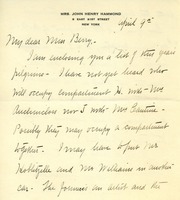 She also expresses her sadness that Miss Holdstock will not be able to come back and attend commencement. 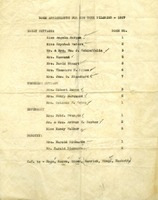 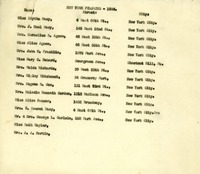 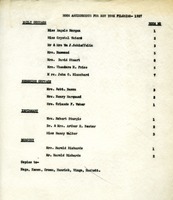 A list of the names of the New York pilgrims visiting the Berry Schools in 1924, as well as their addresses, which reveal that at least 5 pilgrims were not actually from New York. 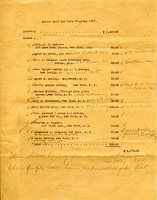 Document lists currency and all checks received from the 1927 Silver Roll New York Pilgrims totaling $4,174. 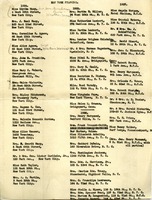 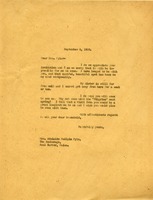 Handwritten notes state that all gifts were updated on the donor cards and that the donors were acknowledged.